Jam Heavy Metal speaker just £50 on Prime Day | What Hi-Fi? Black Friday is known for bringing you great deals, and this saving on the five-star Jam Heavy Metal Bluetooth speaker is bound to catch an eye or two. It's now down to £50 on Amazon - a £20 saving on our 'reviewed at' price. The Jam Heavy Metal HX-P920 is a small, metallic speaker that gained its top-of-the-shop rating thanks to its impressive bass power, its ability to fill a room and the surprising clarity of its midrange. Carrying it about is simple too - the build is smooth, the metal is sleek, and it's got good balance to its weight. It feels reassuring yet convenient. With a claimed battery life of eight hours, a 3.5mm input and 20W of stereo power to be getting on with, those looking for a straightforward wireless speaker shouldn't hang around. 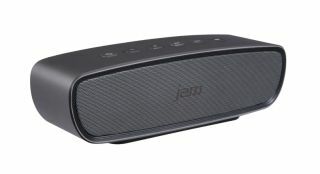 Should you buy a Jam Audio wireless speaker on Black Friday?